Wellness isn't an indulgent treat, it's a lifestyle choice. Having a balanced diet with protein, carbohydrates, fibre and fats will help you with your fitness and well-being. 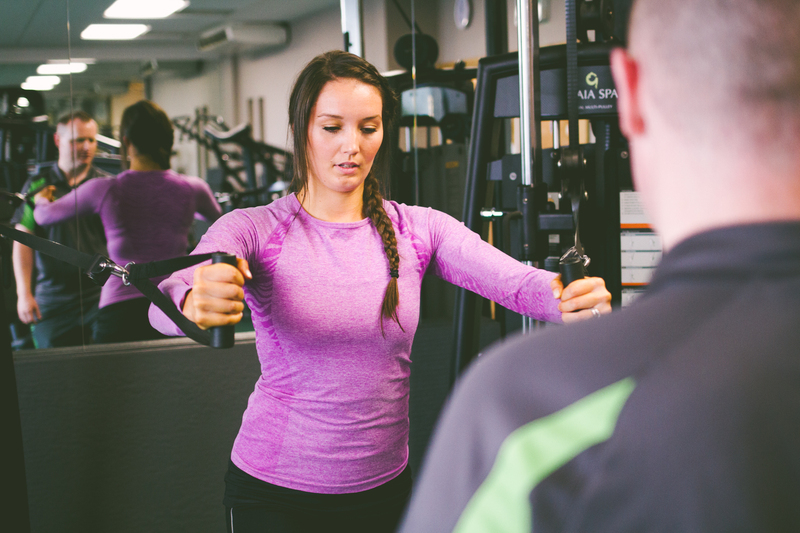 Ask yourself what you would like to achieve whether it's to improve your fitness, lose weight or muscle gain by setting a realistic goal and logging your progress along the way will help keep yourself motivated. For example, you can do this by setting your goal weight, setting the time you would like to achieve this goal and then seek professional help from a personal trainer will also help you achieve this goal. This will also help with extra motivation too and tracking your progress is a great way to keep motivated. Going to the gym or classes by yourself can sometimes feel a bit scary when it shouldn't be. Getting yourself a workout partner to join the gym with you and attended class can help you take the step into the gym or classes a lot easier. It can be anyone - a friend, Brother, Sister, Mum or Dad. It can also keep you motivated by helping each other and supporting each other by spurring each other on. Gaia Spa brings a whole new level of wellness to the South West and being a part of it is something truly special. A destination spa combining excellent service with luxurious fitness and wellbeing facilities, we provide members with a place to nurture wellness, naturally.